Cleveland Qld Motel. Motels in Cleveland. Cleveland Motels. Redlands Motels. Capalaba motels. 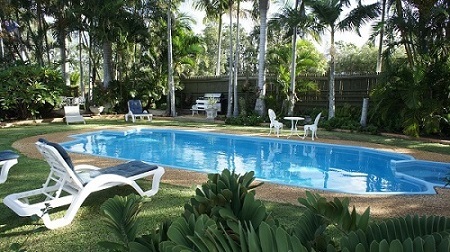 Accommodation Cleveland Qld. "Book direct here" and SAVE. Ground Floor rooms that are Clean, Comfortable and Peaceful, with parking outside your door. Cleveland Motor Inn is a peaceful Motel to stay at while in the Redlands Area. Our 3.5 star, 16 room motel is located approximately 750 meters from the heart of Cleveland in a quiet secluded area away from the heavy traffic thoroughfares. Cleveland Motor Inn is a comfortable, quiet and affordable 3.5 star Motel to accommodate you while in the Redlands Area. The motel is 30 minutes from the Airport or City, and easily accessible by vehicle or train. Our 3.5 star motel, with 16 ground level rooms, (no stairs) is located approximately 750 meters from the heart of Cleveland in a quiet secluded area away from heavy traffic thoroughfares and construction areas. There is a choice from a large double room through to a 2 bedroom family unit that can sleep 6. 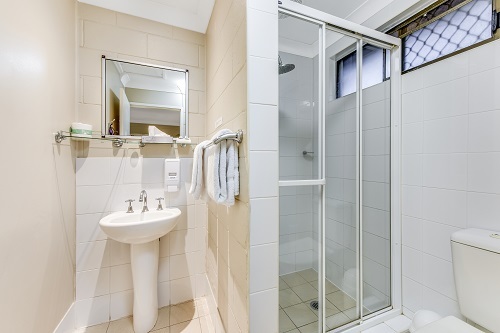 All rooms have Unlimited Free Wifi, Foxtel, microwave, refrigerator, kettle, and toaster and private bathrooms. A guest laundry is also available. 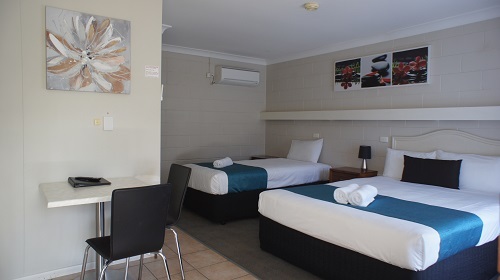 Although the motel is in a quiet and secluded area we are still close to shops, supermarkets and restaurants. The Redlands Softball grounds and the Cleveland Sports centre, Sirromet Winery or Stradbroke ferries are only minutes away. Multiple vehicles or trailers can be parked on-site, by arrangement. 16 Ground Level Units that are large, clean, comfortable and Peaceful, with parking outside your door. Always lovely to stay at the motel. Clean and homey. Vicki and Steve, Thankyou for your hospitality and understanding. Nothing was too much of an ask and you went over and beyond to ensure our stay was made as easy as possible. Thankyou for a very comfortable and quality stay. As Always. Hi, Thanks heaps for your hospitality and service - if anyone is staying in this area I certainly recommend staying with you! I especially appreciate the extra effort with assisting me to the airport this morning. Thanks for your follow-up email. We would be happy to commend Cleveland Motor Inn on any platform. I appreciated your calm and amiable efficiency in dealing with booking and at check-in. 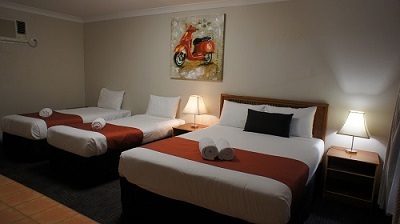 We both appreciate the comfortable, clean rooms offered in a quiet location that is convenient for us. We wish you well in your ongoing operations in hospitality. Hi Steve and Vicki we liked the room very much and you are great and the hotel being next to those cafe/restaurant is very good. Yes. I had an enjoyable stay. Already put a favourable review on Trip Advisor. Thank you for an enjoyable stay at The Cleveland Motor Inn, even though my time there was short, I found the room to be modern, well equiped and clean. I look forward to returning should I be in the area again. We enjoyed our short stay with you at Cleveland Motor Inn, the room was clean and very comfortable. Always lovely to stay at the motel. Clean and homey. Ruth. Lavazza Coffee "To Go" dispenser. Alexandra Hills Hotel Convention Centre.